This Shoreline favorite is bringing a Brazilian favorite to the Know Good Market this month. 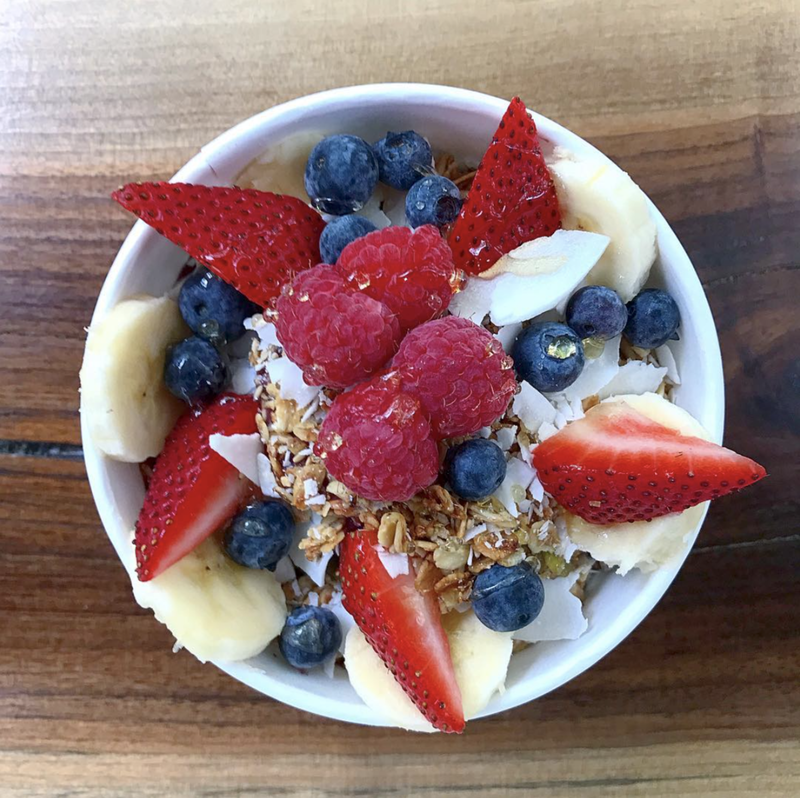 Life Bowls, based in Madison, will be serving smoothies and açaí bowls and helping you beat the heat. Life Bowls was started in 2015 by owners Jonathan Bone and Justin McLaughlin, who fell in love with the food while living in California. They now roam the Connecticut shoreline (mostly Madison and New Haven) spreading the word about these nutrient packed bowls of deliciousness. If you're not familiar with açaí bowls, the Brazilian dish is made up of mashed and frozen açaí palm fruit and served as a smoothie in either a bowl or glass and usually topped with granola and banana and other fruits. They'll be serving all kinds of bowls and smoothies off their menu, including their Very Berry bowl with an açaí, blueberry, strawberry, banana and almond milk blend, topped with strawberries, blueberries, raspberries, banana, granola, coconut and honey; and their Green Monstah bowl with an açaí, blueberry, spinach, kale, banana and apple juice blend, topped with apple, hemp and greens superfood cereal, sunflower seeds, goji berries and honey. Who else will be there? The Cafe at Fifty-Five will be open across the street, serving coffee and crepes, Samba's Cuisine Food Truck will be offering Brazilian flavors, Mercado will have their Span-ish tapas, and CraftBird & Co. Food Truck serving fried chicken and farm fresh deliciousness. Heirloom Market at Comstock Ferre will have healthy juices and baked goods, The Butcher & Red will always be bringing the meat, Bear's BBQ will be serving... BBQ, La Mesa Food Truck will have pork sliders and empanadas, Fuego Picante will be serving their famous Mexican, and Let's Start from Scratch is toting over her cookie dough and popsicles. And then of course, Hog River Brewing will be open and serving their Hartford made beer and The Liquorist will be shaking cocktails. This post is in partnership with the Know Good Market.